It’s been a busy few months on the hip-hop front, with a whole host of (disappointing) albums dropping over the summer (Yeezus, MCHG), but the last few weeks have seen some of the year’s best releases with Drake’s Nothing Was The Same and Pusha T’s My Name Is My Name. Among all the hype about these industry heavyweights’ respective albums, October 15th saw the release of Detroit MC and producer Black Milk’s fifth solo album No Poison No Paradise – a dark horse in the fight for album of the year. Three years ago, a mysterious artist by the name The Weeknd uploaded three songs to YouTube; What You Need, Loft Music and The Morning. It was like nothing we had ever heard before, but who was this guy? Or was it a band? What does he look like? No one knew. Then Wicked Games was released and after cosigns from Drake, the hype was building. 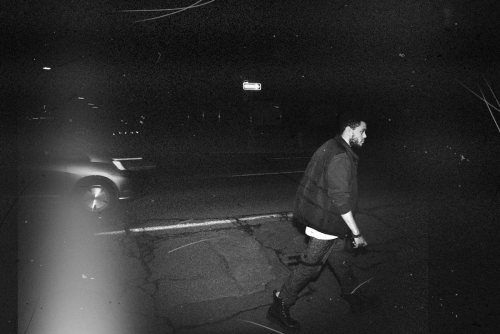 The first mixtape House of Balloons dropped and everyone’s minds were blown. Teasers for his next release Thursday began as another trio of tunes appeared; The Birds (Pt. 1), Rolling Stone and Trust Issues. Was this guy capable of making a bad song?? It didn’t sound like it so far. He had a cult following before anyone even knew who he was. After a final mixtape Echoes of Silence and the Trilogy compilation, the countdown to his first major label album had begun. Three years on, Abel Tesfaye is finally ready to release his debut Kiss Land next week (September 10th). There’s nothing better for a hip-hop fan than a jam packed album release day and June 18th was just that. Mac Miller, Statik Selektah and Quasimoto all released albums but the most anticipated were J. Cole’s Born Sinner and Kanye West’s controversially titled Yeezus. Initially set to be released on June 25th, J. Cole bravely pushed the Born Sinner release forward and set it against West’s new LP in a head-to-head similar to the 50 Cent-Kanye sales battle of 2007, without the ‘beef’, remember that? What we ended up with was two completely different albums; with J. Cole’s a more standard modern-day hip-hop album, not straying too much from the norm, while Kanye West’s effort did the complete opposite, in typical Yeezy style.